I drove back to California today with the dog child. Since Jeff flew home earlier in the week, I had to drive the whole way. I'm tired. At least the weather was beautiful and the scenery was nice. Mt. Shasta was even out from behind the clouds for a change, at least for part of the trip. When I was passing through Albany, I stopped and looked at an entertainment cabinet. It's another Bentwood Furniture piece. I can't seem to help myself... =) This one is selling for something like ⅓ of the original price. It's very tempting. I'll have to see if I can sell our entertainment cabinet here in California; then we wouldn't have to move it all the way to Portland. 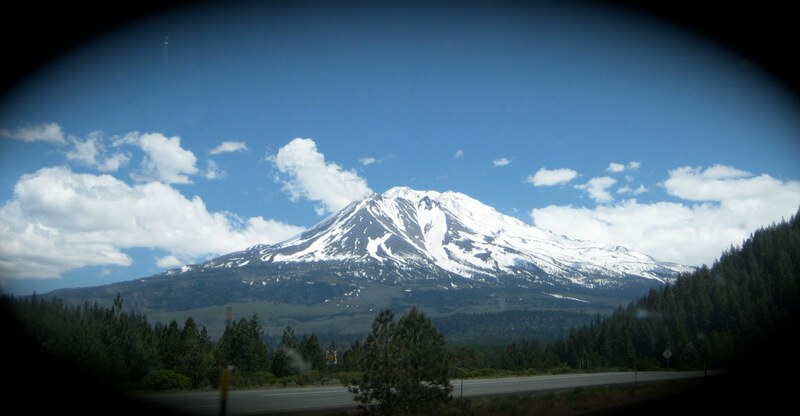 Mount Shasta looks beautiful. We never made it up there so I've never seen it in person. We found a great furniture store near us this weekend. It sells Amish furniture and it is beautiful!